DIR: A bomb went off near a health department team involved with the anti-polio vaccination drive in Arif Kele area of Lower Dir on Tuesday. Per details, a team of health department was busy administering anti-polio drops to children in Arif Kele when a bomb went off close to the polio workers. No casualty was reported in the incident. 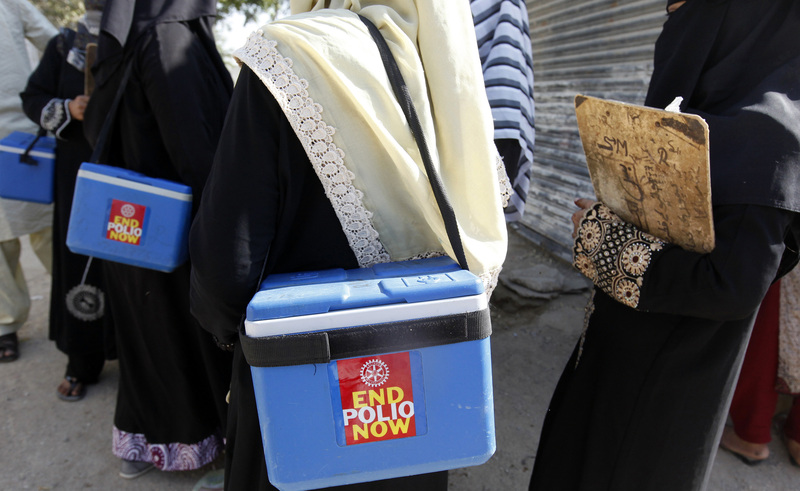 However, after the blast the anti-polio campaign in the area was stopped temporarily. Following the blast, security forces and police personnel rushed to the site and cordoned off the area. The forces started a search operation in surrounding areas to arrest the terrorists involved in the incident. In another incident, a terror bid was foiled in Bannu by police after recovering hand grenades which were later defused. The police, on receiving a tip-off, conducted a search operation in a garden located in Khadri Mamand Khel area of Bannu. During the operation, three hand grenades hidden in the orchard were recovered which were defused by the bomb disposal squad (BDS). In yet another incident, a man was seriously injured in a landmine blast in Patokh area of Dera Bugti on Tuesday. Police said that a man stepped on a live landmine which left him critically injured. The injured man was shifted to a hospital where his condition was stated to be critical. Meanwhile, unidentified armed men gunned down one person and successfully escaped after committing the crime. Levies sources said that unknown miscreants sprayed bullets at a man in Dhadar area of Bolan, located in Kacchi district of Balochistan. The man was killed on the spot and the attackers fled the scene of the crime. The body was shifted to a hospital for postmortem and a case was registered against unknown assailants as police started investigations.